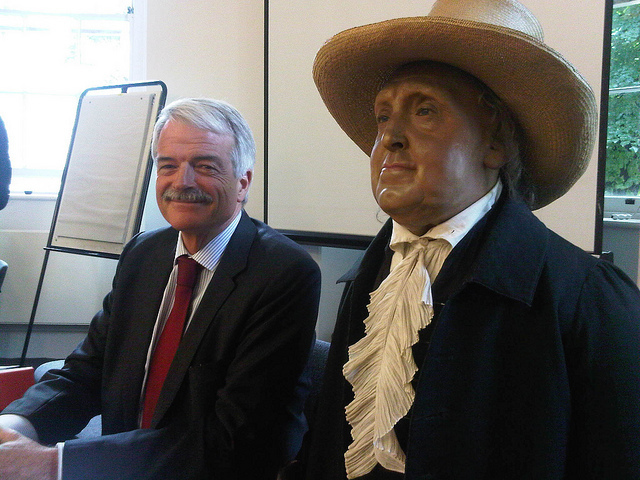 Bentham (right, obviously), with outgoing provost Malcolm Grant. 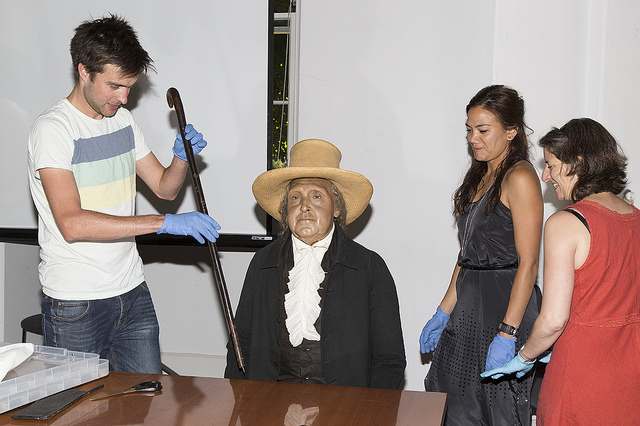 Philosopher and man-of-letters Jeremy Bentham died in 1832, but choice parts of his body remain on public view. 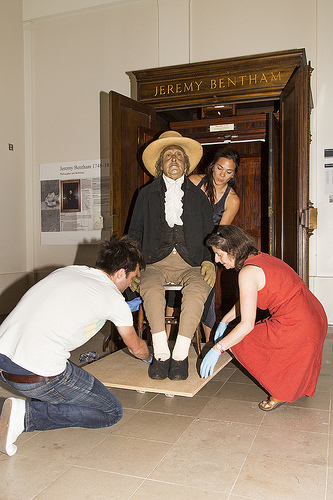 The 'auto-icon', contained within a box in UCL cloisters, contains most of his skeleton, decorated with a wax head and the clothes Bentham wore in life. 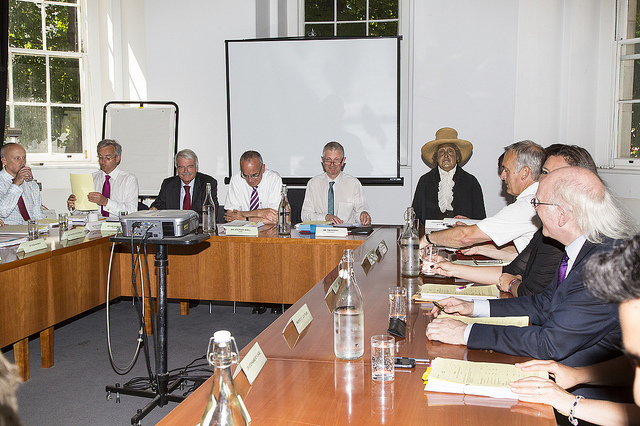 Last month, the esteemed remains were wheeled out to preside over a UCL Council meeting. 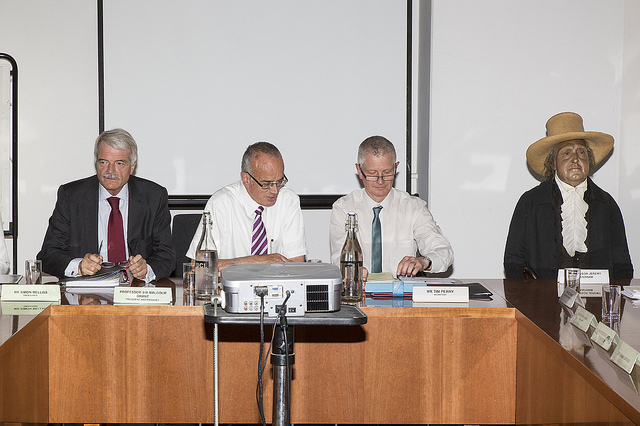 His rare appearance in council was a surprise for long-serving provost Sir Malcolm Grant, attending his last such meeting before retirement. Bentham was noted in the minutes as 'present but not voting', in accordance with an urban myth that has him regularly overseeing such gatherings. Bentham's remains are available to visit at any reasonable time of day — just wander through UCL's cloisters to the right of the main entrance. You can also fiddle with a virtual model of the fellow, or read his musings on his sadly lapsed blog, Thinking Inside The Box.